Former U.S. Vice President Joe Biden said this week he was "very close" to deciding whether to make a 2020 White House bid and will run only if he thinks he can win the Democratic Party's nomination. He is not alone in questioning if he is the man for the moment. The clamour for Biden to join the pack seeking to challenge Republican President Donald Trump has quieted as the Democratic field has grown more crowded and diverse, according to interviews with more than two dozen strategists, activists, party organizers and voters. Opinion polls show Biden, a former U.S. senator from Delaware who served two terms as former President Barack Obama's vice president, remains popular. But the Democratic Party may no longer need him in order to be competitive against Trump. "I love Joe Biden. He's a great guy and a great politician," said Jerry Shriner, a Democratic national committee member from Idaho. "I wish he were the president right now. But I'm not sure I wish he is president in 2021." Democrats are in the early stages of an internal debate about how best to challenge Trump in next year's presidential election, weighing factors like electability, ideology and identity. 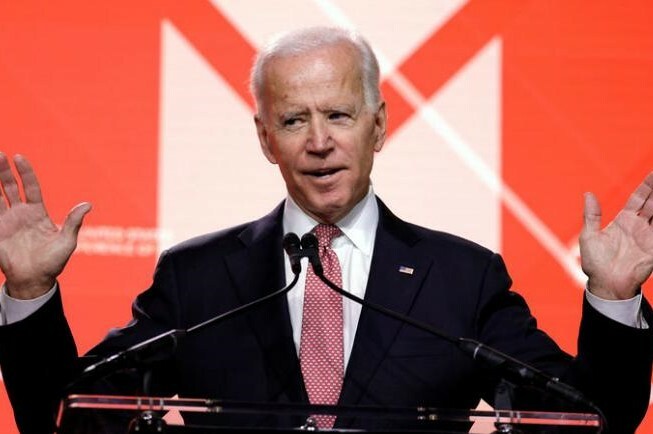 The strength of the field - expected to include at least six sitting U.S. senators, plus several current or former governors, U.S. House of Representatives members and a former Cabinet secretary - is a factor in Biden's calculations, those close to him say. He will be more likely to remain on the sidelines if he feels a strong candidate capable of beating Trump is emerging. But a source close to Biden said: "If I had to guess, he's probably going to do it."